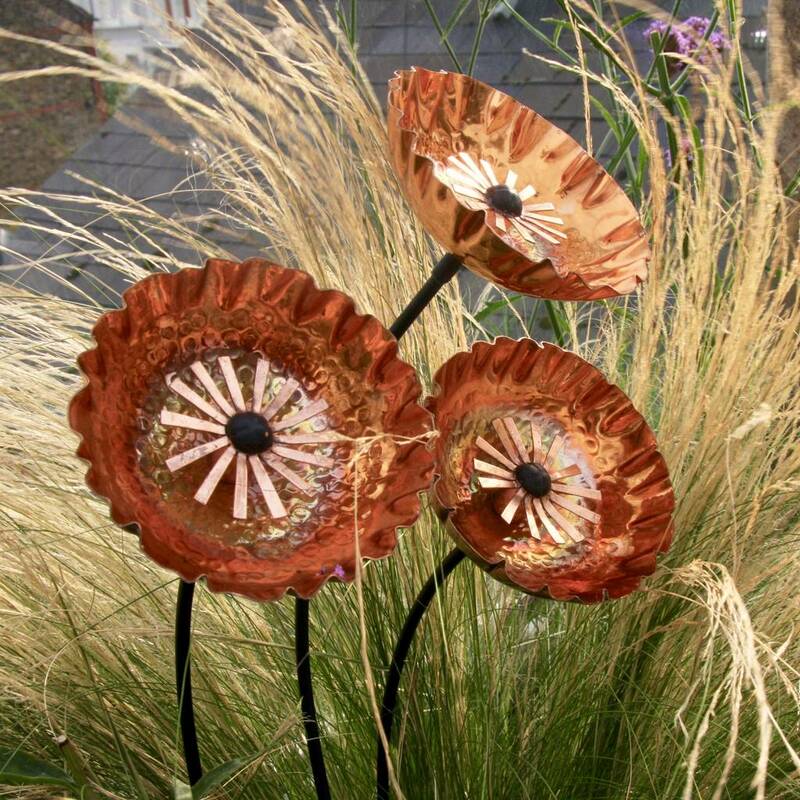 Add this seasons copper trend to your garden this summer with our gorgeous handcrafted copper flower garden sculptures - the perfect accessory for your garden. 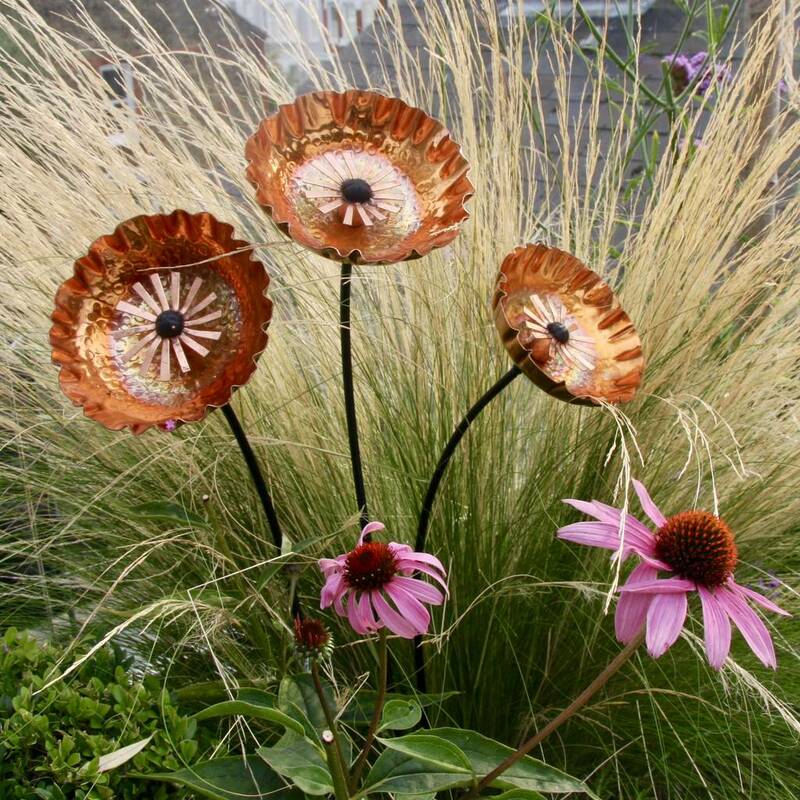 Add this season's copper trend to your garden this summer with our gorgeous handcrafted copper flower garden sculptures - the perfect accessory for your garden. 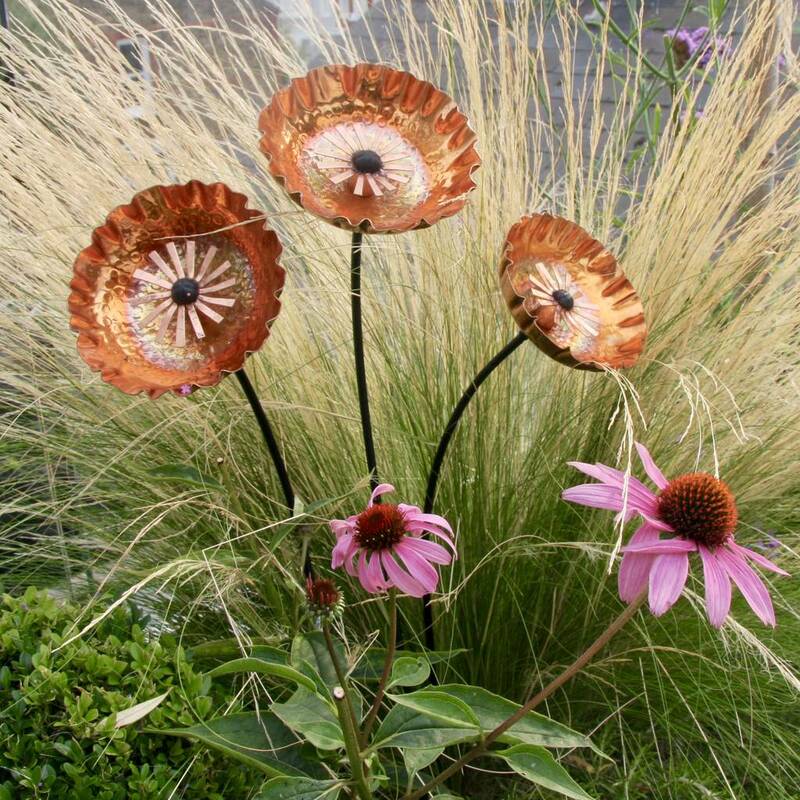 Simply place into your borders - the flowerheads sit on a 90cm curved stem. 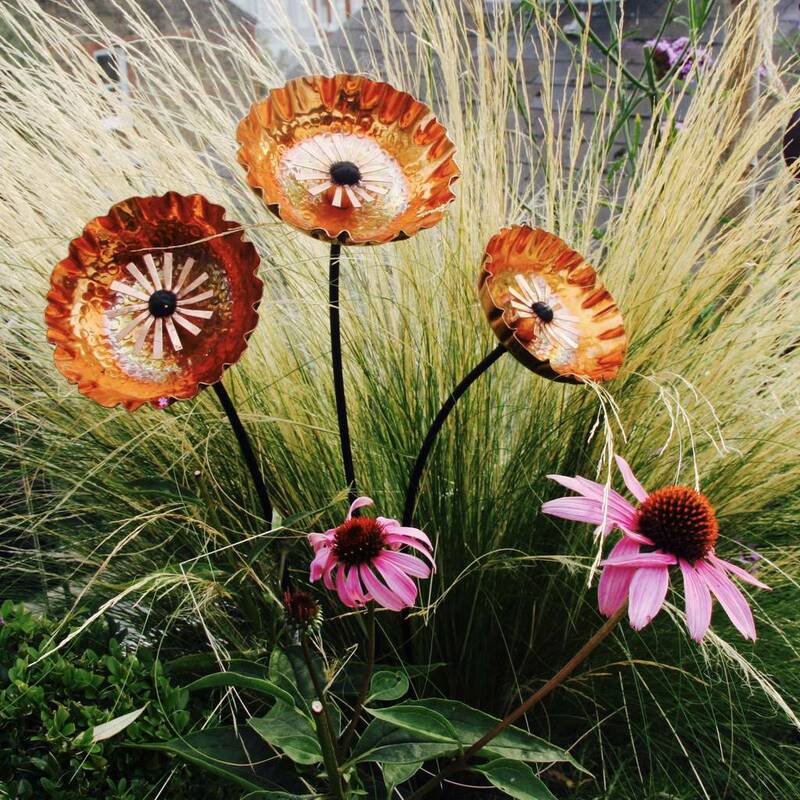 The flowers have been handcrafted with a pleated hammered finish and the flower stamens have been formed from pieces of handcut copper sheet to give texture to the centre of the flower. 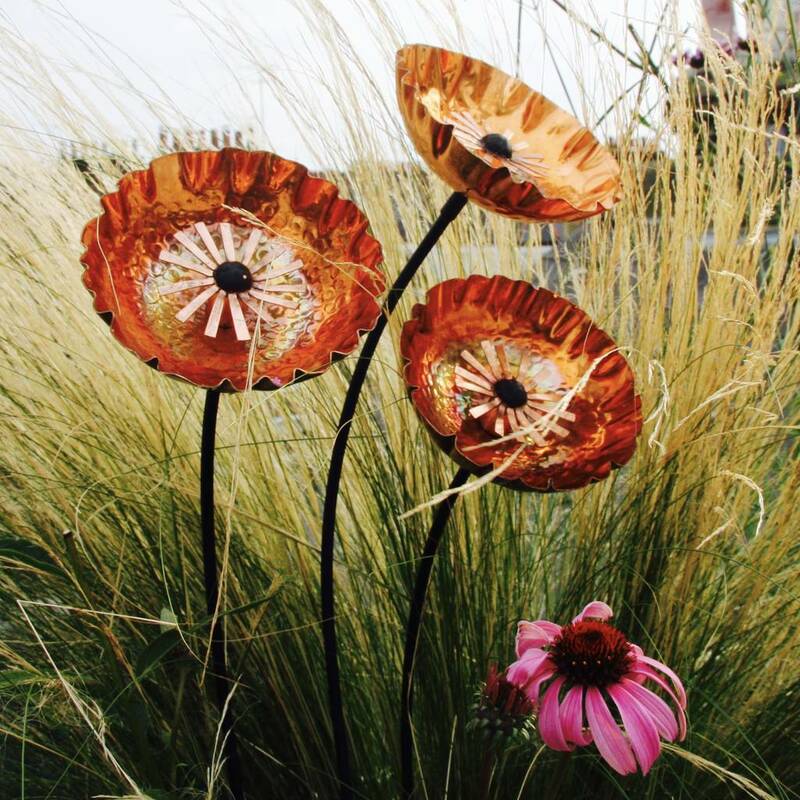 Simply place whereever you choose in your garden this sculpture will create colour and interest. The flowers are imperfect in their beauty and we hope that our customers will appreciate that these are not machine made pieces and will show imperfections and markings which we feel add to their appeal.